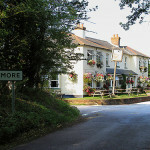 Trying to find pubs in Berkshire? You’ve come to the right place. We’ve got every pub and bar in the UK listed. Whether you’re looking for a pub or bar in Berkshire to play darts, somewhere to play pool or just want to have a look at a menu before you go, we can help. Fox Inn in Hermitage has a beer garden. The pub has a car park, it gives a warm welcome to dogs and their owners. Fox Inn is a family friendly pub. The pub serves food, it has an outside area. Fox Inn serves real ale. The pub has a real fire, it has a smoking area. Fox Inn has free WiFi. The pub has a dart board, it has a pool table. Fox Inn has a big screen. The pub shows football on TV, it has Sky Sports. Fox Inn has terrestrial TV. The pub is a member of Cask Marque. 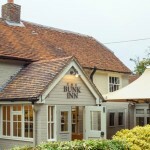 The Bunk Inn is a great place to relax with a drink, have a superb meal with family and friends or enjoy a peaceful stay in glorious surroundings. Situated in the small village of Curridge, we offer all the calm and beauty the countryside has to offer. 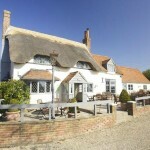 Langley Hall Inn in Beedon has accommodation. The pub has a beer garden, it has a car park. 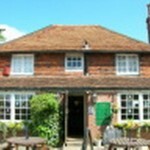 Langley Hall Inn gives a warm welcome to dogs and their owners. The pub is a family friendly pub, it serves food. Langley Hall Inn has an outside area. The pub serves real ale, it has a real fire. Langley Hall Inn has a smoking area. The pub has DJ's, it has live music events. 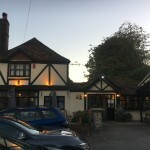 Langley Hall Inn holds quiz nights. The pub has a big screen, it is a member of Camra. 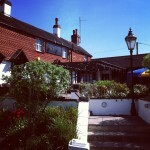 White Hart in Hampstead Norreys has a beer garden. The pub has a car park, it serves food. White Hart serves real ale. The pub has a real fire, it has free WiFi. White Hart is a member of Cask Marque. Castle Inn in Cold Ash has a beer garden. The pub has a car park, it gives a warm welcome to dogs and their owners. Castle Inn serves food. The pub has an outside area, it serves real ale. Castle Inn has a smoking area. The pub shows football on TV, it has Sky Sports. Castle Inn has terrestrial TV. The pub is a member of Cask Marque. Spotted Dog in Cold Ash has a beer garden. The pub has a car park, it serves food. Spotted Dog has an outside area. The pub serves real ale. West Berkshire Brewery released its first brew in 1995 and its beers have won over 40 awards since! Donnington Valley Hotel & Spa in Donnington has accommodation. The pub has a beer garden, it has a function room that can be booked. Donnington Valley Hotel & Spa has an outside area. The pub has DJ's, it has karaoke. Donnington Valley Hotel & Spa has live music events. Regency Park Hotel in Cold Ash has accommodation. The pub has a beer garden, it has a function room that can be booked. Regency Park Hotel has an outside area. The pub has a big screen, it shows football on TV. Regency Park Hotel has Sky Sports. The pub has terrestrial TV. Castle Inn in Donnington has a car park. The pub has an outside area, it has a smoking area. Castle Inn has a dart board. The pub has a pool table.